Just as Honda teased with concepts last year, all-new Monkey and Super Cub bikes will be returning to the U.S. starting next year, and they look incredible. The Honda Monkey and Super Cub bikes are some of the most recognizable bikes in the world, but the U.S. has been missing out on the fun for decades. Honda is remedying that with new 125cc models of both. The new Monkey will be available in Banana Yellow paint for the non-ABS version, starting at $4,000, and the ABS version will come in Pearl Nebula Red and cost $200 more. The 125cc engine is basically the same out of the similarly sized and ever-so-popular Honda Grom. 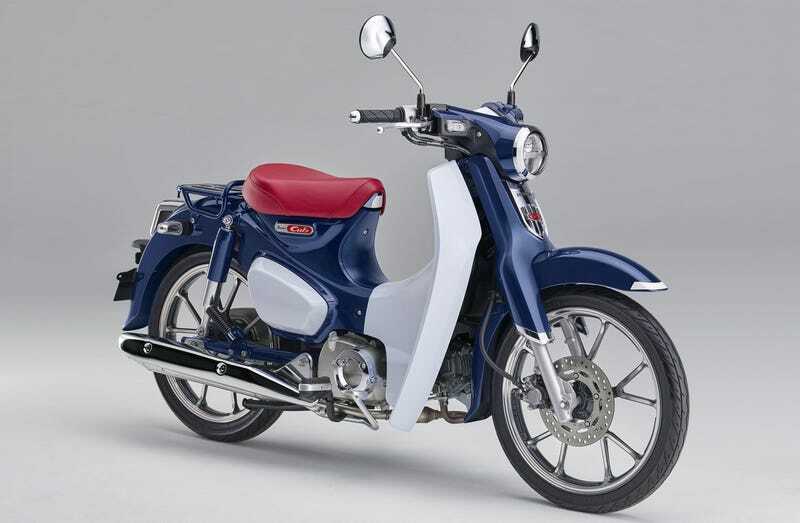 The new Honda Super Cub C125 comes with ABS standard, is priced at $3,600 and only comes in Pearl Blue paint. The Monkey gets a four-speed manual and the Cub gets a four-speed semi-automatic, and sales are set to scoot off in January of next year. Having just moved to Brooklyn with the depression of no longer owning a car slowly seeping in, it will be difficult to avoid going full hipster and grabbing myself one of these.